Rainbow Six Siege has fully pulled the curtain back on its big Year 3, Season 2 update, Operation Para Bellum. Last week we brought you trailers for Para Bellum’s new map, Villa, and one of its two operators, Alibi, and now we have a trailer for the other operator, Maestro. 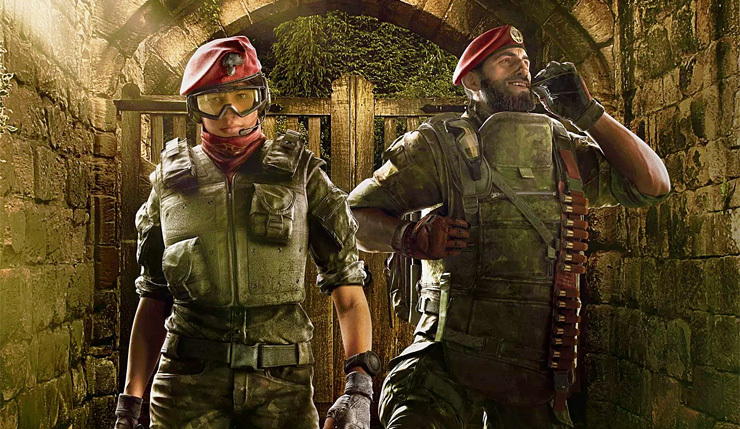 Ubisoft has also released a full Operation Para Bellum overview trailer, which provides a better look at the Villa map, and a full rundown of Alibi and Maestro’s special abilities. As most predicted, Alibi can project holograms to confuse the enemy, while Maestro can plant nearly-indestructible cameras that can see through almost anything and defend themselves with lasers. Finally, here’s over 30 minutes of Operation Para Bellum gameplay first shown at this weekend’s Rainbow Six Pro League finals. “Operation Para Bellum introduces two new defending operators, Alibi and Maestro, alongside an all-new map, Villa, set in the Italian countryside. Year Three Season Two also brings a breath of innovation, including a new intel gadget, operator speed adjustments, various other gameplay improvements, and the all new Pick & Ban setting – a feature that evolves the way players engage with multiplayer. Rainbow Six Siege is available on PC, Xbox One, and PS4. Operation Para Bellum hits test servers on May 22, and launches in full sometime in June.